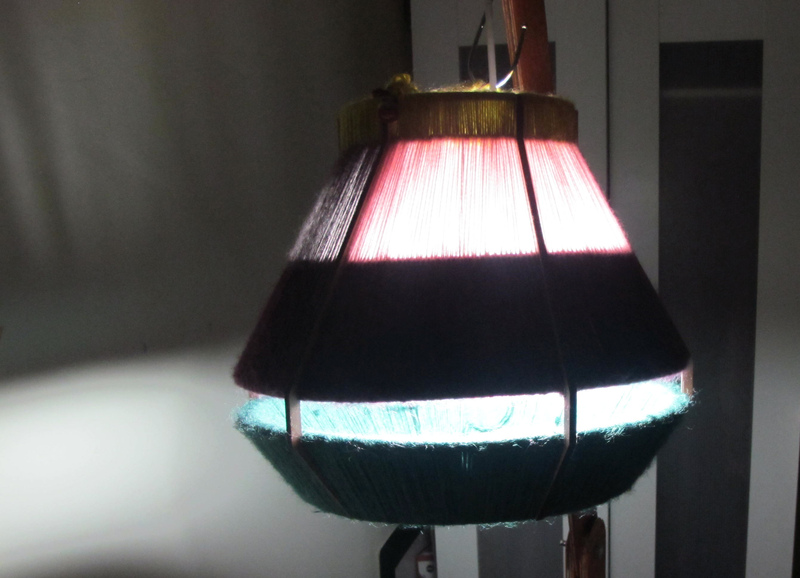 I have wanted to skin my lamp with yarn/twine/string since we received the brief. 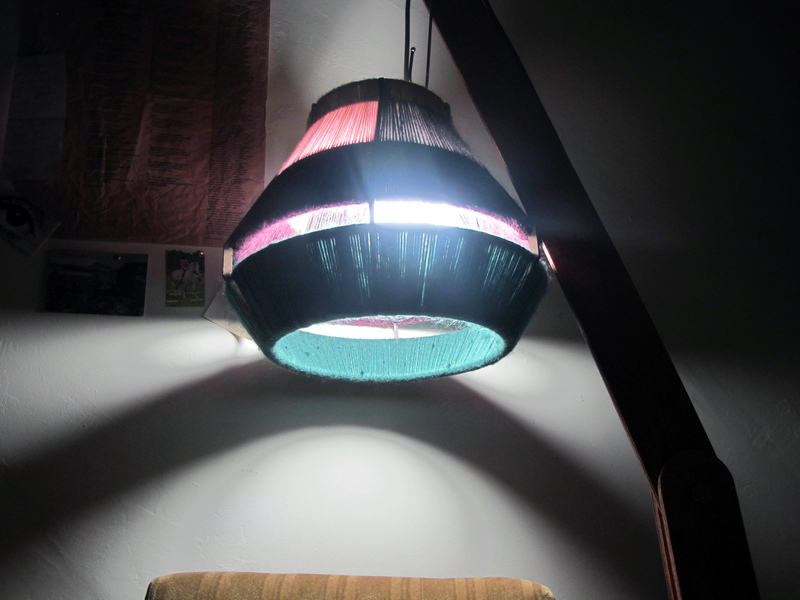 I Had to use thicker MDF and therefore the ribs would be harder to conceal with string, so I decided to make the burnt edges a design feature of the finished lamp. This actually was the LONGEST process and I had to sew in the middle (baby pink/ grey) layer using a huge embroidery needle. 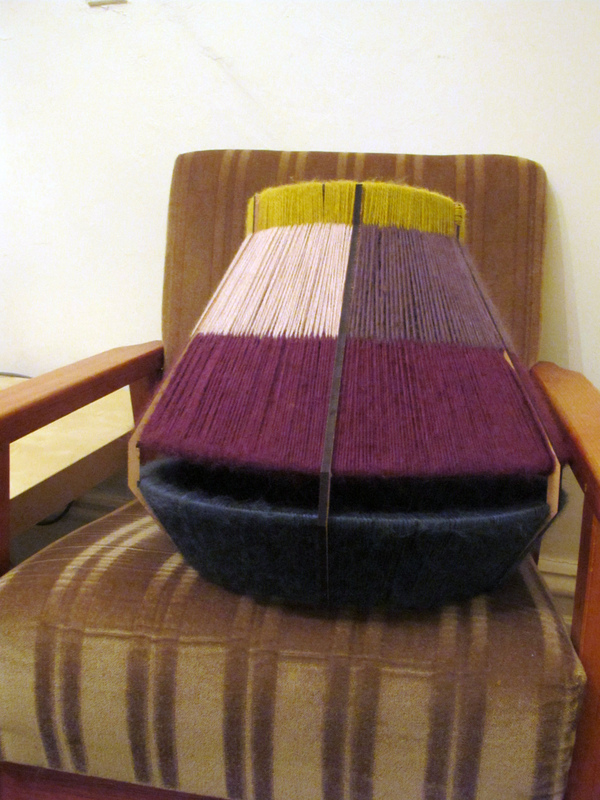 I left a slight section free of string as a lot of darker colours were used which will allow more light to penetrate through.